Win one of my original art quilts! 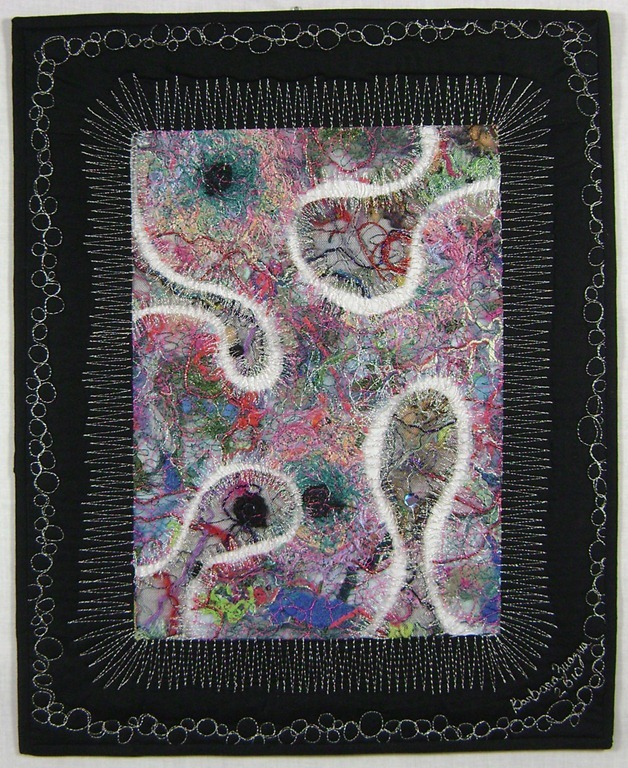 To make things more interesting and fun you can enter a drawing to win one of my original art quilts : Scar Tissue: Flow! It’s easy to enter: just leave a comment at the end of this post and I’ll put your name into the hat! On April 18, we’ll draw the winner! This is a fabulous opportunity for artists to sell our creations and offer credit card options at a reasonable cost. If you didn’t find this blog via email: Want to get a secret coupon code for 25% off? Tell me in the comment box and I’ll email it to you! The code is good until April 25. That’s 2 weeks! Give the Perfect Gift: Customized! One of the best things I do is offer customized Quilts, Art Quilts, Bags, Dolls, Baby Play Mats or whatever you have in mind. On the upper right of this page you will see the widget that says “Made Just For You”. There you can learn more about how I calculate the cost of custom made items. I will be adding more information to that page as I have more samples available to view. Just tell me what you have in mind and I will work hard to make your idea come to life. SkyGirl© Dolls are an original creation I’ve been developing over several years. If you order a custom doll, you can choose your colors, fabrics, characteristics and hobbies specific to the recipient. Read more about the process and the SkyGirl story. If you read on, particularly the post: The Art of Going Pro, you will see that few months have been quite busy and full of learning new things. In the post you can see all of the resources I found and steps I took to get to where I am now. Check the Workshops page to find information about workshops I offer at The Gallery On High in Pottstown, PA. Every season I offer something new for beginners, kids and adults. See the Summer Session post to see what’s coming up. Thanks for visiting!! Don’t forget to comment to enter the Quilt Drawing!